There are 2 sorting activities for teaching and assessing students on nonfiction vs fiction books. The first activity is the assessment I used to determine if students understand the concepts. The second activity was used when I met with each group of students during reading. 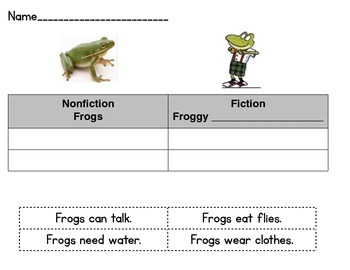 We read a Froggy book and a nonfiction book and compared the two.